In August 2017, Fluxys CEO Pascal De Buck told Belgian media that the participation of Fluxys, Snam and Enagas in TAP pipeline project might give them an advantage over competitors in the DESFA tender. TAP’s longest section lies in Greece, covering 550 km, and TAP shareholders will save money by exerting majority control over an already existing operating company. What Fluxys CEO didn’t say was that he had agreed with Gazprom to join the TAP pipeline project. It was supposed to be an “alternative to Russian gas”, a “breakthrough to challenge Russian gas dominance”. The Trans-Adriatic Pipeline (TAP) should have been providing Europe with another large source of natural gas (Azerbaijani gas), helping the continent diversify away from Russia. But on 25 January 2017, Gazprom Export Director General, Alexander Medvedev, announced in Vienna that Gazprom intends to use half of TAP’s capacity to transport Russian gas to Europe. The following days, two major TAP shareholders Fluxys (19%) and Snam (20%) announced their full support for Gazprom’s plans to join TAP. On 1 June 2017, a meeting between Gazprom Chairman Alexey Miller and Fluxys CEO Pascal De Buck took place at the St. Petersburg International Economic Forum. They decided that TAP pipelines will serve as onshore continuations for the TurkStream pipeline across the Black Sea that Gazprom is building without foreign partners. TAP is part of the so-called “Southern Corridor” for European gas, which has been promoted as an alternative to Russia’s controversial Nord Stream 2 project. But in January 2017, Pascal De Buck announced that Fluxys, one of the shareholders of TAP, is prepared to help Russia’s Nord Stream 2 gas pipeline, either by becoming a shareholder in the project or in some other way. 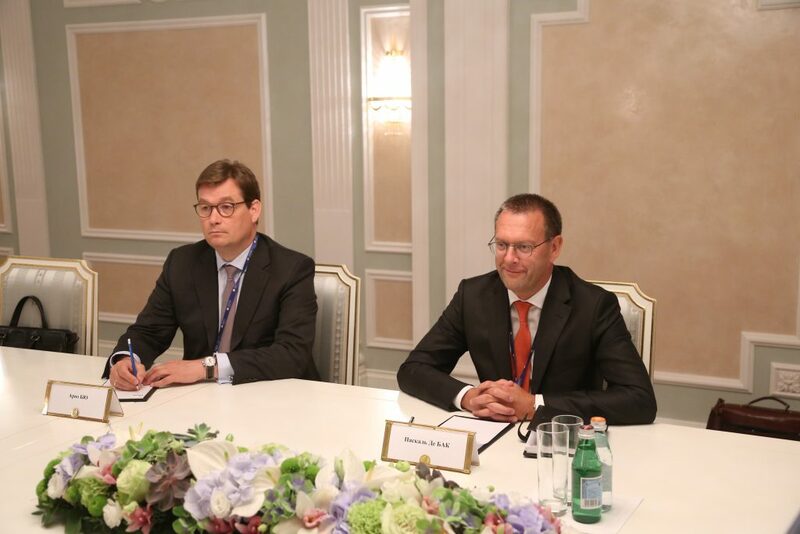 During their meeting in Sankt Petersburg in June 2017, Alexey Miller and Pascal De Buck also discussed the issues related to the establishment of a new infrastructure in Europe to export Russian gas to the region via the Nord Stream 2 gas pipeline. Couples of days later, Fluxys and five other European gas transmission operators sent a letter to European Commission President Jean-Claude Juncker in support of Gazprom-led Nord Stream 2. At the time, European Commission was looking for a mandate from the EU Council to negotiate a special legal regime with Russia for Nord Stream 2. Fluxys and the rest of Nord Stream 2 supporters said there is no need for such talks as the commission’s own legal service concluded that internal EU laws are not applicable to offshore pipelines. In October 2017, Fluxys acquired a 16.5 percent stake in Germany’s proposed Eugal pipeline, the onshore continuation of Russia’s offshore Nord Stream 2 pipeline. Fluxys has a history of strong ties with Gazprom. In June 2006, Fluxys and Gazprom met in Moscow to sign a Memorandum of Agreement. Gazprom subsidiary Gazexport (with a 75 percent stake) and Fluxys (with 25 percent) set up a joint venture to build underground gas storage facilities in Poederlee, Belgium. In September 2011, Fluxys acquired a 19% stake in Germany’s Nord Stream pipeline project NEL from Gazprom subsidiary Wingas. In December 2010, as part of Russian President Dmitry Medvedev’s visit to Brussels, Gazprom and Fluxys signed a Memorandum of Understanding on the creation of gas transportation corridors, regasification terminals for liquefied gas and the use of underground gas storage facilities. 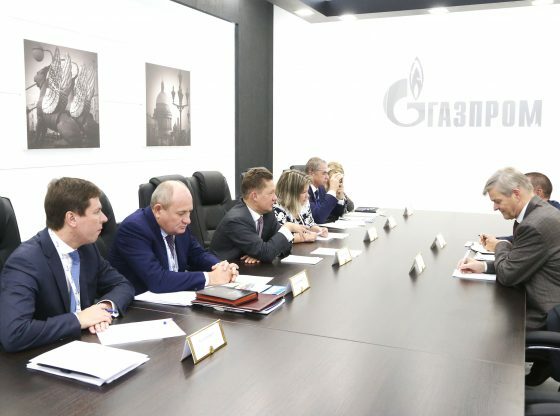 The chief of Gazprom Export announced that Gazprom and Fluxys are working on a project to use liquefied and compressed gas as motor fuel. In April 2014, Russian-led Yamal and Belgian Fluxys announced an agreement on liquefied natural gas transhipment services at Belgium’s Zeebrugge terminal. (http://oligarchsinsider.com/) In June, Gazprom CEO Alexei Miller declared: “This agreement significantly strengthens the long-term LNG portfolio of Gazprom and enables us to increase LNG trading volumes and utilize our own fleet of LNG carriers”. 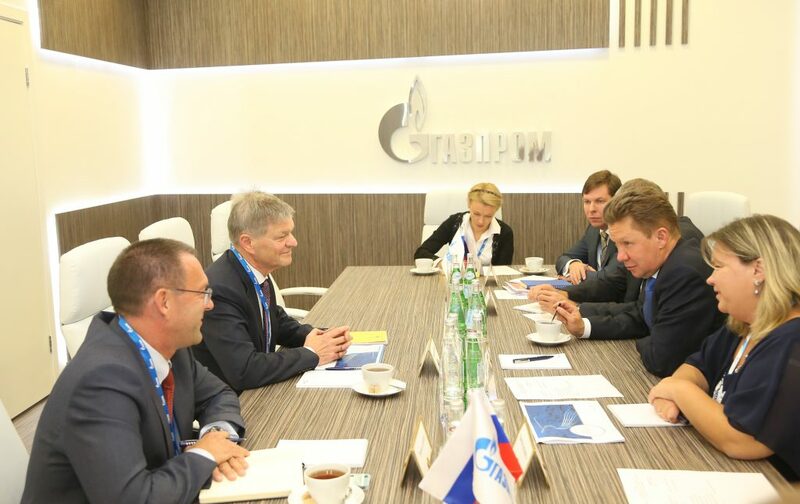 In October 2014, Gazprom chief executive Alexei Miller and then-CEO of Fluxys Walter Peeraer (who is currently the President of TAP) held talks on expanding their partnership in the gas sector. 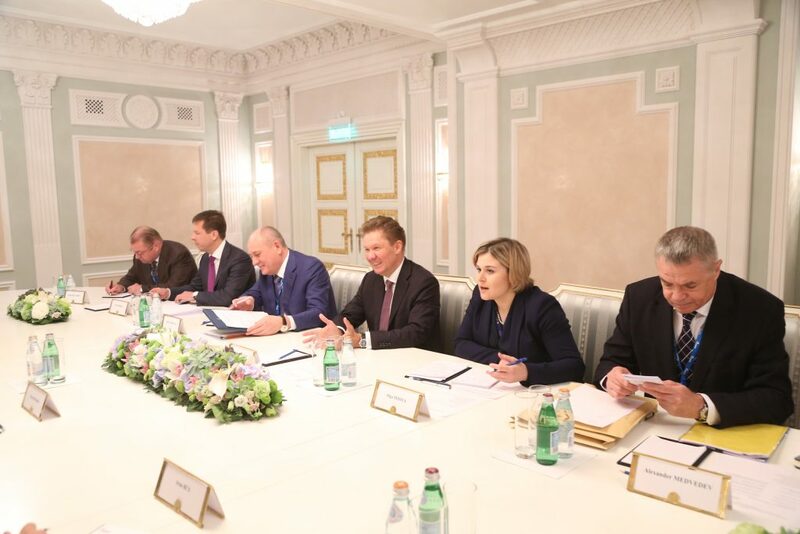 Miller and Peeraer discussed the prospects of developing cooperation in the area of transportation and storage of natural gas, as well as re-gasification of liquefied natural gas in Europe. In October 2015, Miller and Peeraer met again in Sankt Petersburg. The meeting focused on the transit of Russia gas via Belgium to third countries. The parties also addressed the prospects for constructing new and direct gas transmission routes to Europe. In December 2015, Gazprom sold one of its oldest assets in Western Europe – 10% in the Interconnector gas pipeline, connecting the UK with the rest of Europe. The reason for leaving the asset was a demand put forward by the UK regulator: Gazprom as a gas supplier could preserve its stake in Interconnector only by losing the voting right. The asset was sold to Belgium’s Fluxys. In March 2016, Alexander Medvedev, Gazprom Export’s chief executive, and Pascal De Buck, who had succeeded Walter Peeraer as Fluxys Managing Director and Chief Executive Officer, signed in Paris a Framework Agreement on small-scale LNG cooperation in the European market. 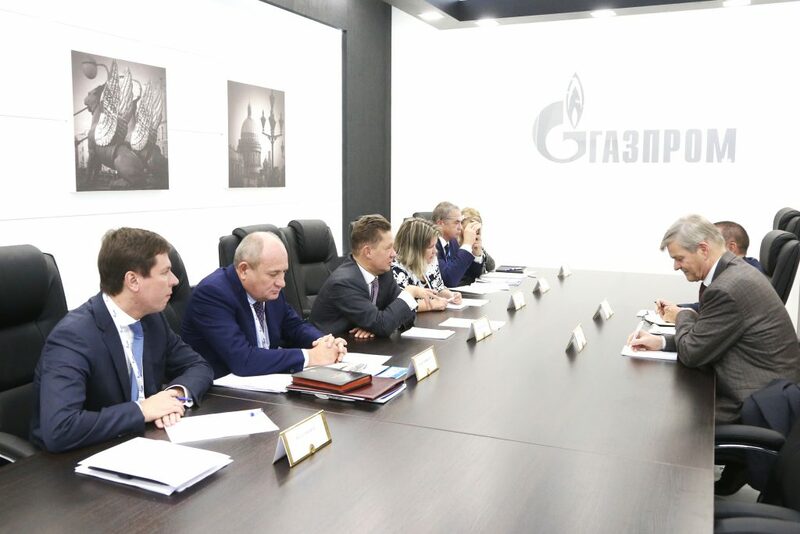 “Development of this segment makes possible for Gazprom to diversify its export potential and boost sustainable supplies of energy resources to European nations,” Gazprom said in a statement. Fluxys, one of the bidders for a 66 percent stake in Greek gas transport operator DESFA, is Gazprom’s partner in countless liquefied natural gas projects, backs Gazprom’s plans to join TAP, supports Gazprom-led Nord Stream 2, and provides Gazprom with transmission capacities for gas deliveries to the United Kingdom.